Witold Lutoslawski (1913-1994) is one of 20th Century’s greatest composers. He is also a remarkable symphonist. 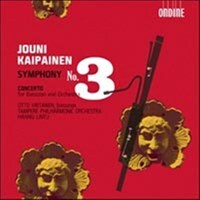 The three works on the present disc performed by the Finnish Radio Symphony Orchestra and conducted by Hannu Lintu, represent three important stages in Lutoslawski’s career: his 1st Symphony, one of his earliest significant works; Jeux vénitiens was the first work in his best-known stylistic phase; and his 4th Symphony remained his last extensive work. Lutoslawski began his First Symphony in difficult times, during the Nazi occupation of Poland. At the time, he was making a living playing piano duos with composer colleague Andrzej Panufnik in the cafés of Warsaw. Lutoslawski made a start on the Symphony in 1941, but it was not until 1947 that he completed it. It is firmly rooted in Neo-Classicism but has none of the irony or stylisation commonly associated with that style. Also, it makes no use of folk music elements, which frequently appear in many of Lutoslawski’s post-war works. The work has an affinity with Bartók, Stravinsky and Prokofiev, and Lutoslawski himself mentioned Albert Roussel as one of his early influences. The sombre ethos and intense dramaturgy of the work have often been taken to reflect the worldwide conflict that was raging at the time of its genesis. Lutoslawski himself, however, rejected the connection; he emphasised that his music was absolute music that, as far as he was concerned, was independent of any direct links to the external world. Inspired by John Cage, the composer began to develop a new technique of his own. The resulting ‘controlled aleatorism’ was first put into practice in the chamber orchestra work Jeux vénitiens (1960–1961). The title of Jeux vénitiens alludes to the fact that the work was meant to be premiered at the Venice Biennale. In the end, only three movements were performed there in April 1961, and the final four-movement version of the work was premiered in Warsaw in September in the same year. Secondarily, the title alludes to the game-like nature of its aleatoric writing. Each of the four movements of Jeux vénitiens has a definite character of its own. Taken together, they constitute a “psychological approach” to musical form that was favoured by Lutoslawski’s composition teacher Witold Maliszewski. According to his terminology, the structure of a work consisted of introductory, narrative, transitional and concluding sections. 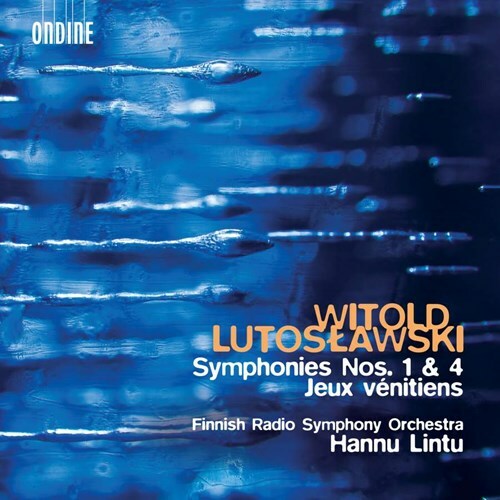 The Fourth Symphony is a product of Lutoslawski’s late period at its most refined, characterised by a more nuanced and translucent harmonic approach than before, greater rhythmic clarity, a more straightforward approach and an expanded role for expressive melodic writing. These features stemmed in part from the fact that the importance of aleatoric sections was decreasing. In the Fourth Symphony, aleatoric counterpoint only accounts for about one fifth of the duration of the work. In his Third Symphony, Lutoslawski had created one of his most profound and manyfaceted works. By comparison, the Fourth was more restrained and serene; the composer himself said as much by noting that “my Fourth after my Third is a little bit like Beethoven’s Fourth after Eroica”. Written in 1988–92, it also remained his last extensive work; he conducted its premiere in Los Angeles in February 1993, one year before his death. 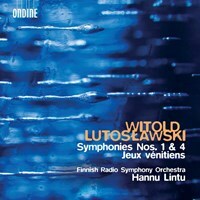 Conductor Hannu Lintu is an excellent advocate of Lutoslawski’s music. 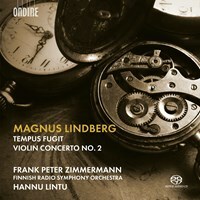 Hannu Lintu recently won the Gramophone Award for his recording of the Bartók Violin Concertos (ODE 1317-2) together with Christian Tetzlaff and the Finnish Radio Symphony Orchestra. 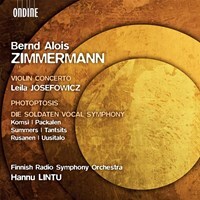 Recordings by the Finnish Radio Symphony Orchestra under Hannu Lintu on Ondine have gathered excellent reviews in the international press. Two of their recordings were nominated for Gramophone Awards in 2018. One of them, including orchestral works and songs by Jean Sibelius (ODE 1289-5) also won an ICMA Award in January 2018. Hvis du liker Symphonies Nos. 1 & 4; Jeux vénitiens, fortell det gjerne til vennene dine! Du kan raskt og enkelt dele denne siden på Facebook, Twitter eller e-post under.